While much of the country remains in the deep freeze – we lucky folks continue to enjoy the early taste of a sweet Oregon spring. 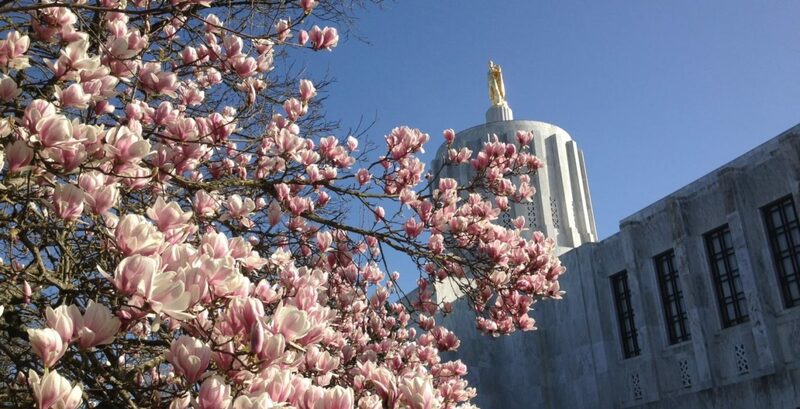 Salem’s Capitol Mall is a rare Oregon gem: a free state park meant for strolling and where a sweet Oregon spring’s in full swing! You will find colorful blooms as you stroll the easy paths that also offer memorial markers for each of Oregon’s 36 counties along with the dates they became official. Nearby, enjoy a heavenly ribbon of asphalt in Yamhill County. 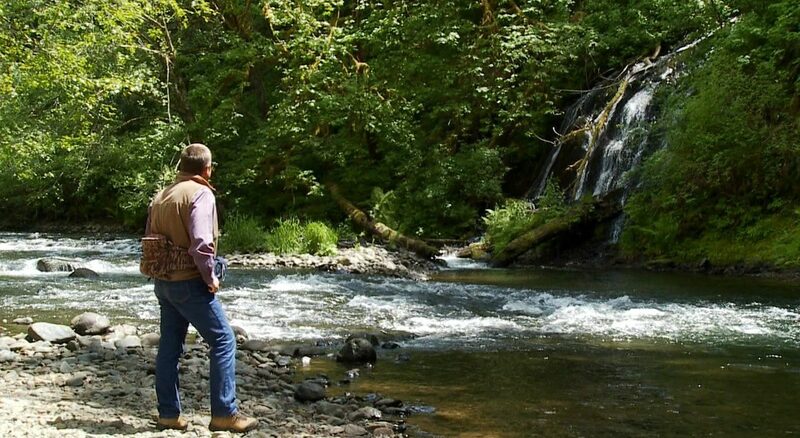 Leave the Willamette Valley behind and discover the Nestucca River National Back Country Byway. The Nestucca River sings on its way to the sea and along the narrow winding roadway that follows it you may hear its song. Be prepared to spend some time and savor the road that threads through the heart of these mountains. It’s a place where milky white clouds dance above giant Doug fir trees and tiny wild iris bunches burst to life close to ground. It is a back road so significant that the Bureau of Land Management designated eleven miles of it a National Scenic Byway. You certainly won’t worry about getting lost on this scenic byway because right at the very start, at Dovre Campground, there’s a huge wooden map to show you the way– plus, it identifies several different campgrounds that invite you to make a longer stay. The byway’s campgrounds – like Dovre Campground – are sheltered under a cool canopy of big leaf maple and alder. There are a dozen campsites tucked away at Dovre, plus a larger covered picnic site for a possible family gathering. But don’t get too comfortable in the campground! Soon, it’s time to trade in the truck and the roadway for a different trail. Sometimes the campgrounds are but a starting point that can launch you onto side trips like the short hike up Dovre Creek where you can enjoy the Dovre Creek Waterfall. It’s a stunner of a cascade style waterfall in spring and summer and offers cool respite when the day heats up. There is so much unmatched rugged beauty on this byway. As you continue your drive west on the byway, keep in mind that the road parallels an ancient river – marked by 40-million year old basalt rock formations that even on cloudless days are drenched from seeping groundwater. The water drips and drops across the lush moss and water-loving wildflowers that hang from the rock walls. Soon, you will reach Fan Creek Campground and it is the place to be for more riverside fun; towering trees set this site apart, which also offers larger RV sites for the motor home crowd. 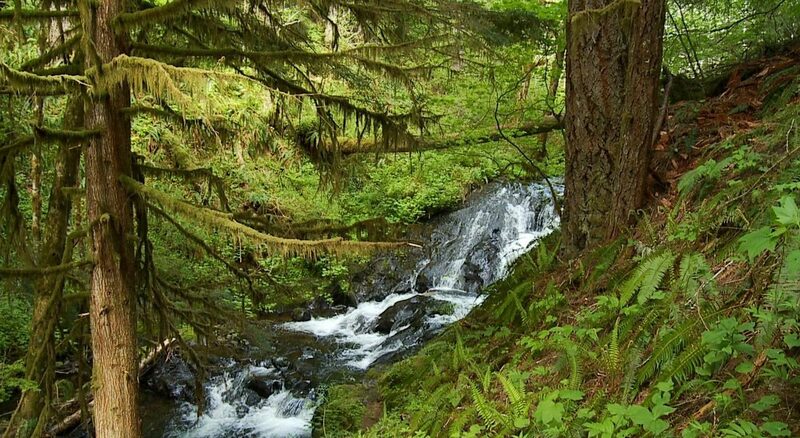 Stop in at Alder Glen Campground for a whopper of a waterfall. You may be drawn to the wildflowers that grow right next to even more shoreline campsites – in fact, one in particular rests just across from the namesake falls. It is a dandy campsite for the falls that will lull you to sleep at night. You are apt to find me along this river on a day when sunbeams light up the scene and a Fairy Slipper orchid waves you along the river as it rolls toward the sea with its magical, ageless song. A clear sky plus brilliant sunshine add up to a March surprise: a perfect time to dive into new adventure on the quiet side of coastal life with Kayak Tillamook’s lead guide, Paul Peterson. Tucked into the comfortable and stable kayak, I soon became the master of my boat as I caught on to the basic forward, backward and sweeper strokes. We wore life jackets as Hinz shepherded us along the edge of the bay (the beauty of the craft is that it can float and maneuver in just inches of water). He carried proper safety gear that included a VHF radio and a first-aid kit, and he kept us a safe distance away from the estuary’s rough bar. 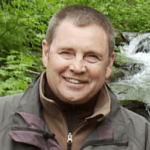 It is critical for newcomers to this sport to join experienced professionals like Hinz who know the water well, because conditions on the water can change in a heartbeat and inexperienced boaters can get into unexpected trouble. There’s even more too! Hinz offered me a copy of the new Netarts Bay Water Trail Map – a hands-on guide that was produced and published by the Tillamook Estuaries Partnership. The guide is free and available to kayakers and other boaters and it is part of a series of water trail maps that will eventually detail all of the Tillamook estuaries including Netarts Bay.